The school entered as a team, and won 4th place overall, taking home a delicious fruit basket. 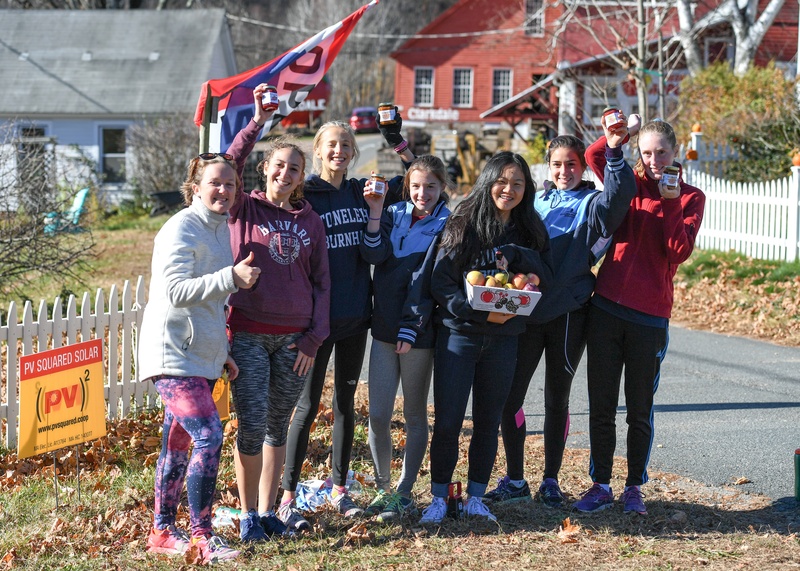 Each girl that ran won an age group award, bringing home the prize of homemade jam of their choice. 8th grader Amelia Opsahl placed 29th overall and was the third female finisher and first in her age group with a time of 52:41. 12th grader Ciara Hudson placed first in her age group with a time of 1:07:18. 11th grader Siyana Nikolova placed second in her age group with a time of 1:09:01. 8th grader Fiona Hodges placed first in her age group with a time of 1:09:03. 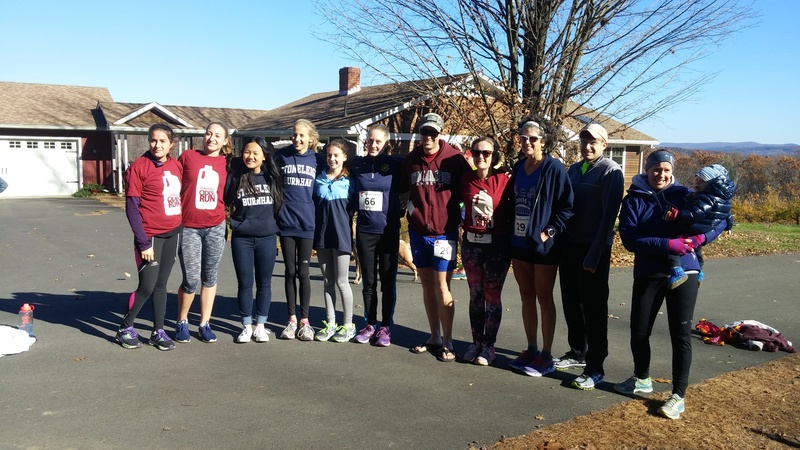 12th grader Elena Launert placed third in her age group with a time of 1:10:48. History Teacher Tim McCall placed fifth in his age group with a finish time of 50:48. Dean of Students Kristen Peterson finished 12th in her age group with a time of 1:06:35. College Counselor Lauren Cunniffe finished sixth in her age group with a time of 1:08:31. Finally, Middle School Math and Science Teacher Andrea Carnes finished 18th in her age group with a time of 1:13:25. 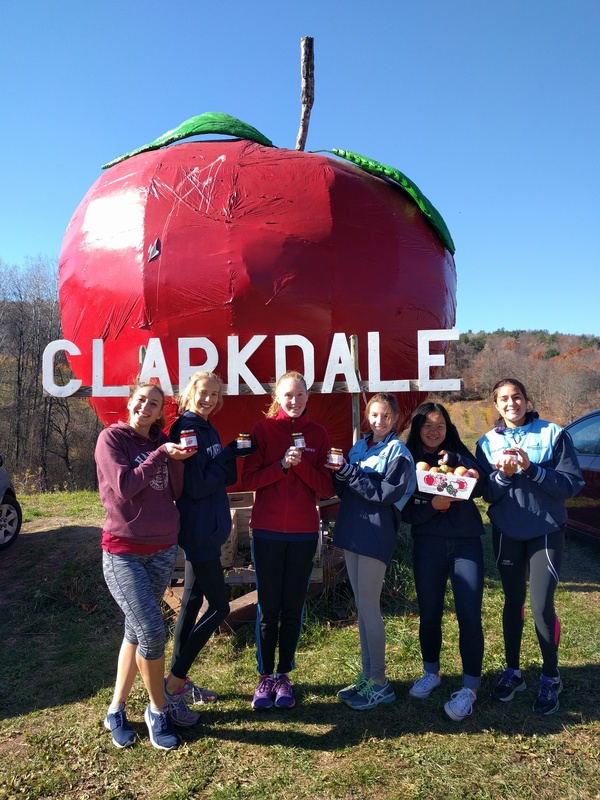 It was a great experience all around and a wonderful study break for the girls, who are all hoping to continue running with each other throughout the rest of the school year!